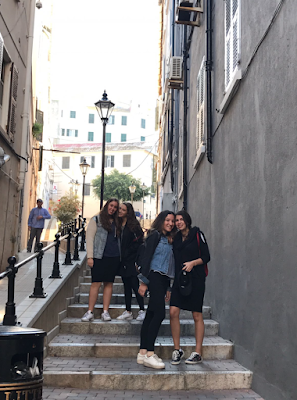 On Wednesday night we took the ferry back to Spain from Morocco and drove to the country of Gibraltar, a Great Britain territory for our fourth day on the Sephardic Heritage Trip. We had a delicious dairy dinner at Gibraltar's only kosher restaurant and then checked in to our hotel. This morning, after another great breakfast (with Michael Chakkalo manning the egg making station), we set off to explore this fascinating and beautiful country. We drove up a winding road to the top of the Rock of Gibraltar, where we drove through two of the smallest tunnels in Europe. On the way, our tour guide told us some of the history of Gibraltar and pointed out many of the landmarks from the battles between Spain and England over this very valuable and strategic territory. We stopped at point Europa - a gorgeous breathtaking spot to see where the Atlantic and Mediterranean Seas meet. 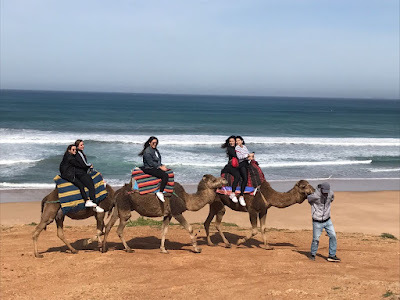 We could see the parts of Spain and Morocco that we visited yesterday. 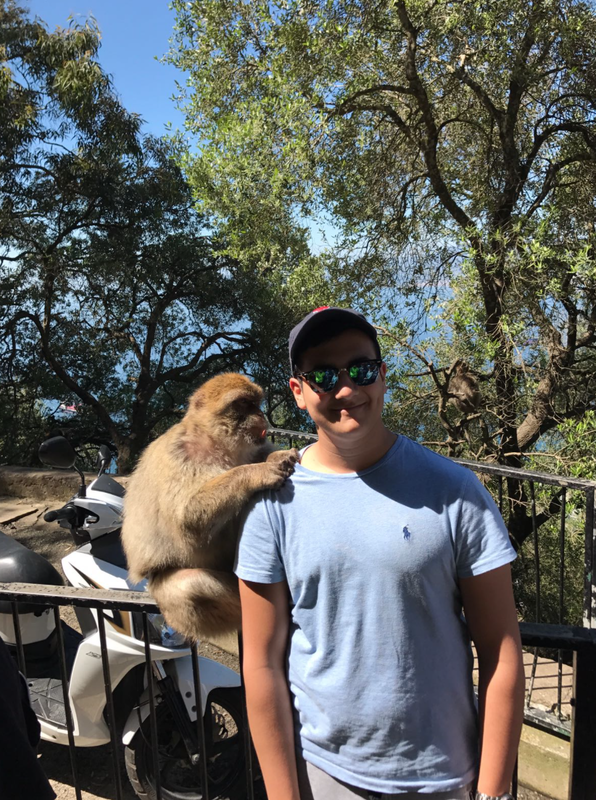 We then climbed further up the rock to visit and interact with the famous Barbary apes. It was so much fun! 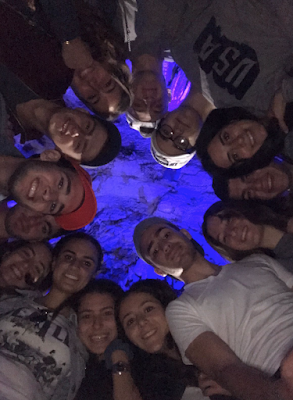 We also visited the St. Miguel Cave and the World War II cave. The St. Miguel cave had beautiful stalactites that were formed out of water dripping for thousands of years . 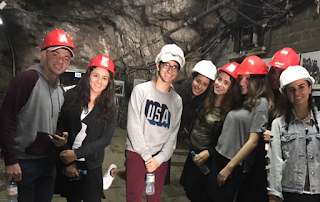 In the World War II caves we climbed through, we learned about how the British broke through Gibraltar's rock and expanded and built an incredible network of tunnels to help with the war effort and use as a possible evacuation route. Once we got back from the caves, we walked around the quaint and picturesque Main Street for around 2 hours, where we shopped till we dropped. Tonight, we plan on praying in an one of the historic synagogues in Gibraltar followed by a deluxe Shabbat meal. We are also looking forward to meeting with the members of the religious community of Gibraltar and getting to learn more about this very special place. Shabbat Shalom! Students from Yeshivah of Flatbush Joel Braverman High School mentored students from the Elementary School, grades 5-8, on a recent Sunday morning who are participating in the Lego League, a new offering for our budding computer programmers. Elementary school students were tasked to plan the building of their "robot" within the guidelines presented. They formed a hardware team and a software team and began sketching out their ideas. Eventually, these students will use coding to program their 'bots to perform certain tasks such as picking up a box with a "claw." These are the beginning stages of a Team that will compete nationally against other teams of innovators. This is an exciting initiative and the students are looking forward to honing their skills and putting their talents to work. 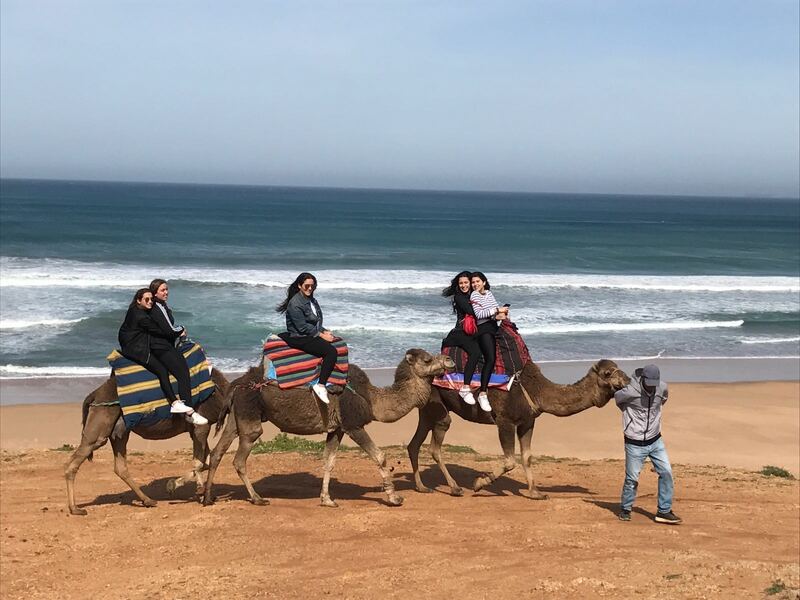 We traveled by ferry to Morocco on the third day of the Sephardic Heritage Trip. On our way from Spain to Morocco we witnessed something truly amazing. We saw the point where the Atlantic Ocean and Mediterranean Sea meet. Since this is such am amazing site Rabbi Harari lead us in saying a special beracha where two body's of water meet (על ים הגדול). 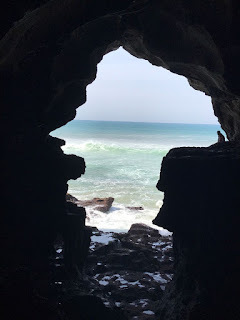 As we arrived in Morocco we met our tour guide and he brought us to see The Cave of Hercules. Greek mythology states that Hercules was the one who separated Africa from Europe and his face is in the shape of a natural cave to prove it. After witnessing this amazing site we went camel riding on the beach. 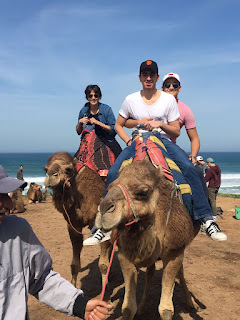 Once we were done riding the camels we made our way deeper into the city of Tangiers. Here we went to the old Jewish quarter of Tangiers and visited two old shuls that were used in the old Moroccan communities. But how can we go to an Old city and not stop by their shuk? 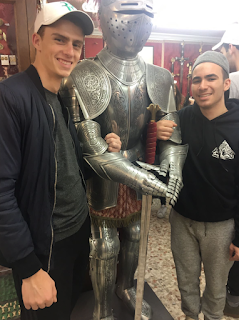 We experienced real market-place bargaining and got the best deals that you could get. 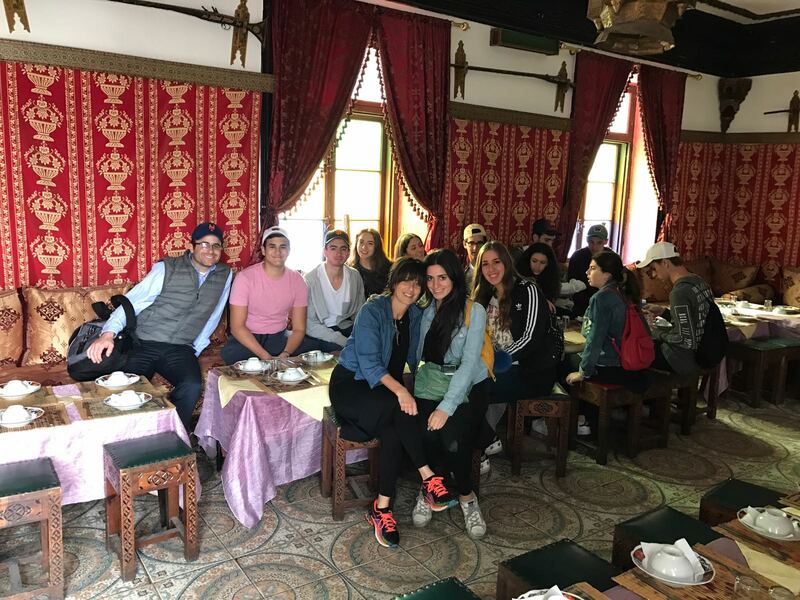 After shopping in the shuk we had a blast in an authentic Moroccan restaurant with live Arabic music. 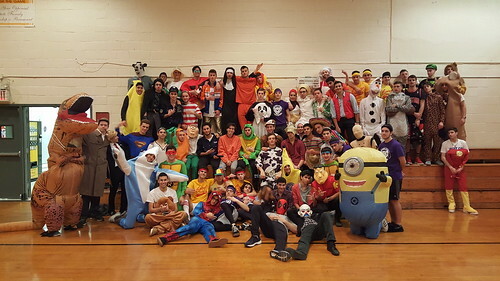 The 2017 Yeshivah of Flatbush Joel Braverman High School Color War was a huge success from start to finish. It began with a school-wide assembly where Rabbi Beyda spoke to the student body about the annual 'Study Survey.' He ended the assembly by telling the students to go back to class. Since there was major speculation that color war was to break out, the students were confused. 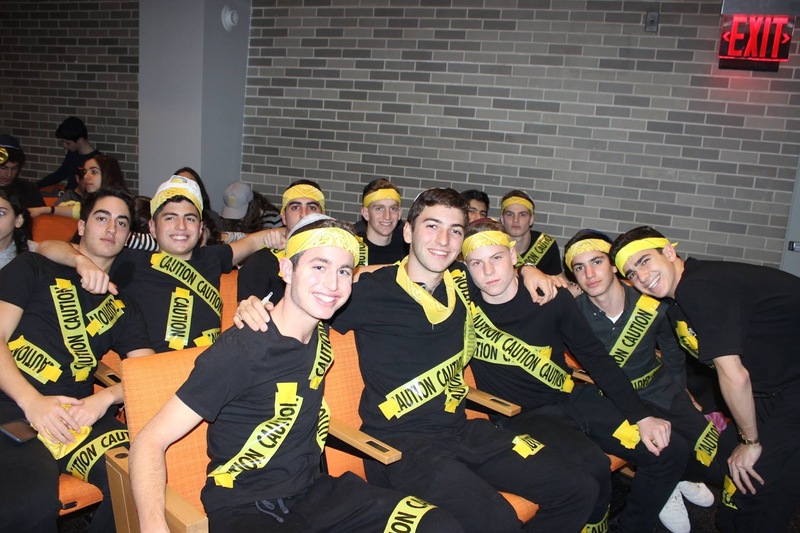 In a staged argument between, senior, Albert Arazi and Rabbi Beyda, the two went back and forth over how the student don't even want a Color War. At that point Arazi turned to the crowd and riled them up chanting "Color War! Color War!" The lights shut off and intense music started to play! Through the back doors, the Generals stormed the aisles making their way to the stage. Colored lights flashed and students began to get pumped up and excited for these next few days of intense competition. We introduced the thoughtful and inspiring themes for this year. The intro videos describing each theme came on screen. This year's color war was all about inspiring the students to find the right path to take on their journey through life. Each of us have the ability to choose from right and wrong but we have to use specific lenses to view our situations to make sure we decide the correct path to take. Four of them being Integrity (yellow), Curiosity (green), Resilience (red) and Bravery (navy). It is our job to use these traits to change our lives and make the world a better place. 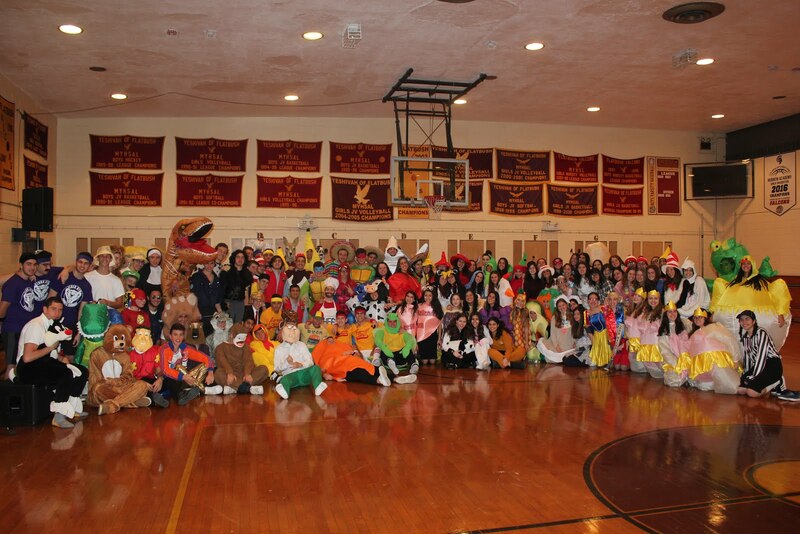 This color war helped the students believe in their ability to do just that. No matter where we stand in life, each and every one of us will be instilled with the power to do the right thing. 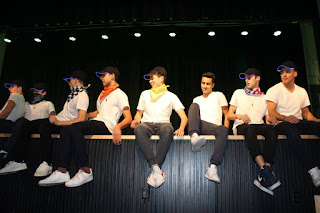 After the intro videos, the teams went to their team time locations where they were handed their team's color hats (with the beautiful YOF logo). 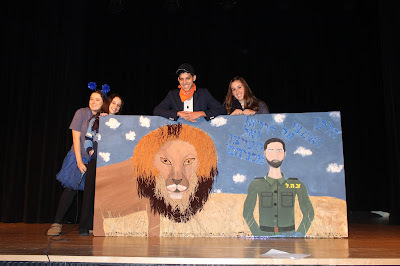 Their generals: Navy- Yair Aiash and Leah Katach, Green- Jonathan Kraidman and Barbara Haddad, Yellow- Daniel Sitt and Jeanne Rahmey and Red- Ikey Benzaken and Sarah Horowitz invited them all to a Saturday night meeting and to school on Sunday morning to help their teams decorate their school hallways in their colors. 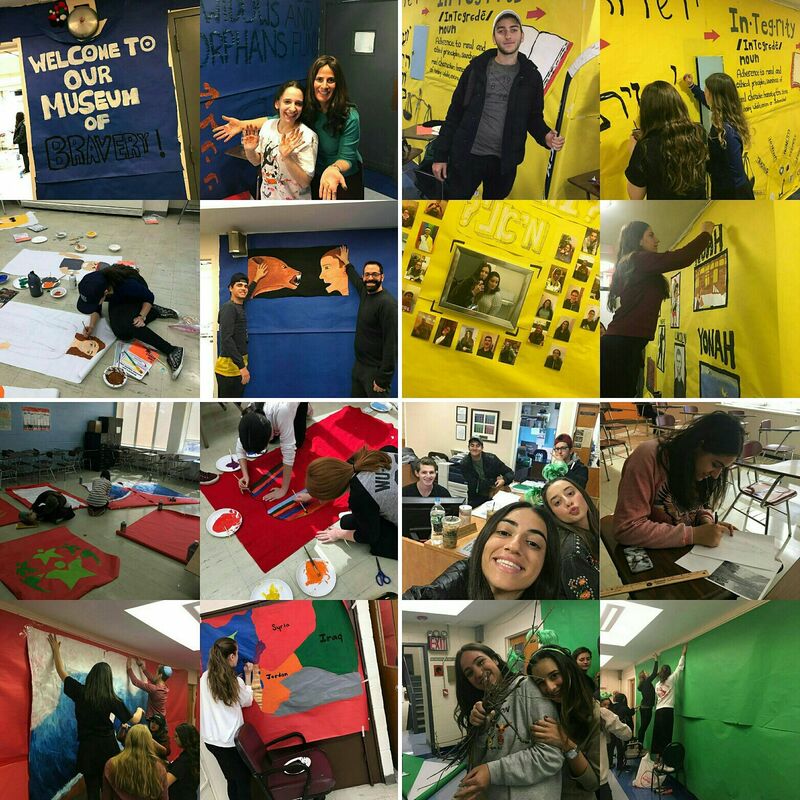 Saturday night was a blast, each team actively working on skits, videos, games, songs, banners, hallway decorations and so much more. On Sunday teams began decorating the school's hallways portraying their team's theme and color that told a story. Sunday afternoon, the teams put together sports squads to participate in the competitive sporting games that lasted into the night. The next two days were jam-packed full of fun games and activities. On Monday, we began with musical chairs during breakfast. An epic finale in the boys game between Albert Arazi and Sam Beyda set the tone for the rest of the day. The same way the two boys battled it out for the last chair was the same way each team competed for every point. 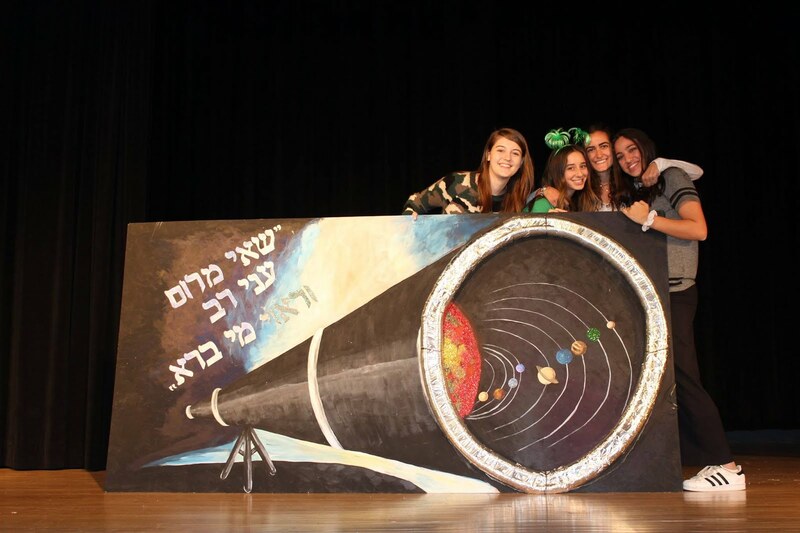 We then all moved to the auditorium to watch the four, theme-related, Dvar Torah videos. Then began the activities. Each grade participated in different events simultaneously. 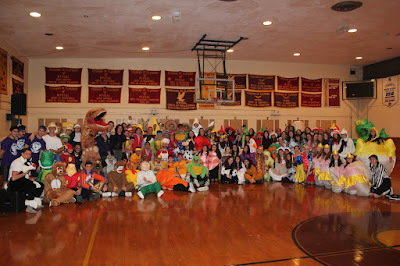 The freshmen played Fun Games, while the Sophomores engaged in Marathon. Juniors and Seniors stayed in the Auditorium for Trivia. Each event ran smoothly. After 45 minutes the grades switched activities. The teams worked together as best as they could, which showed their devotion and drive to win. On Tuesday, during breakfast we played another huge game of musical chairs. There were regular classes in the morning but after lunch the greatness went down. First, the teams gathered for a final rehearsal of their songs and details before the final auditorium session. The students arrived into the assembly cheering their team's colors and themes! 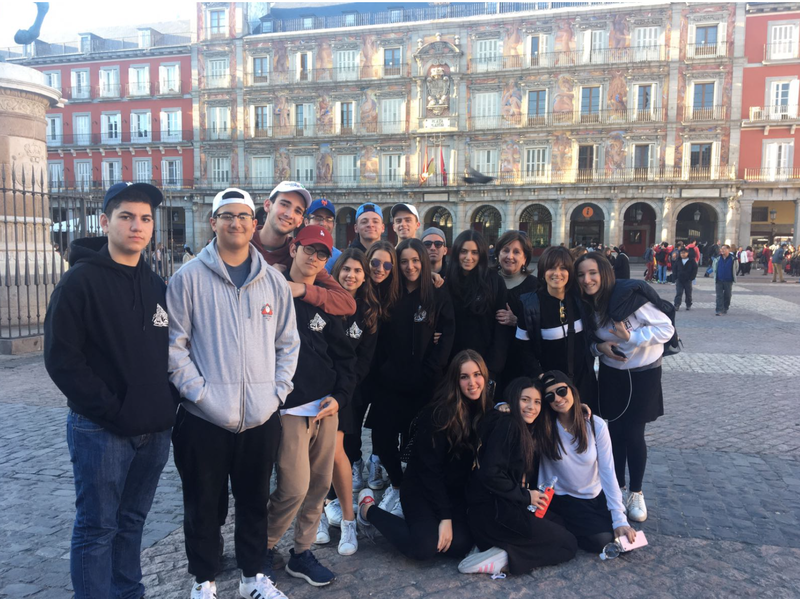 At the very beginning, the SGO collected over $1,000 to be distributed to four different charities, each charity connected to one of the teams. We then proceeded to watch the spectacular skits, beautiful songs, magnificent banners, and the beloved boys' dance from each team. 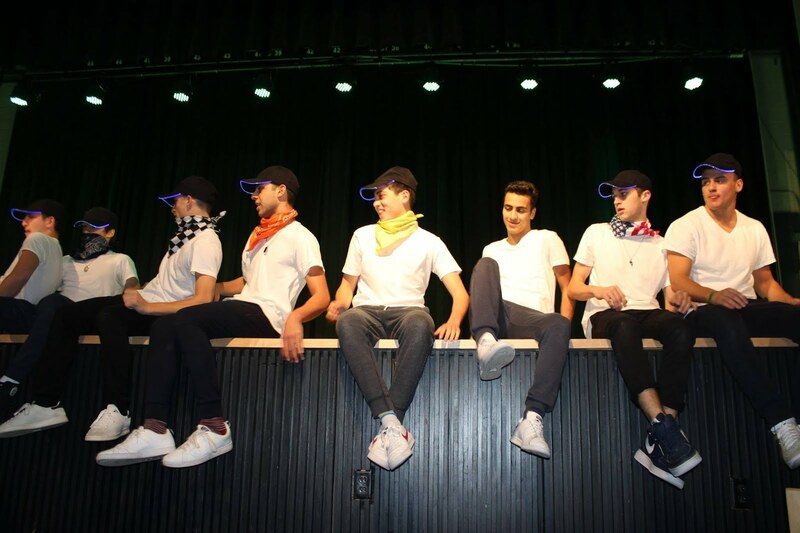 Each year these four activities trump the year's before but, this year, the teams portrayed such amazing work it's going to be hard for 2018's Color War to beat them. After a closing speech from Ms. Marcus about the past few days with an emphasis on the handwork that all the generals, Black Team, and the SGO put into this legendary event; we closed everything with a cute and warming slideshow that compiled pictures from the very start to the very end. SGO President Elliot Shamah then got up and announced Red Resilience as the victors!!! Congratulations to all of the teams for their outstanding hard work, to the teacher generals for all of their dedication and devotion and to all of the students for their active participation, enthusiasm and involvement. 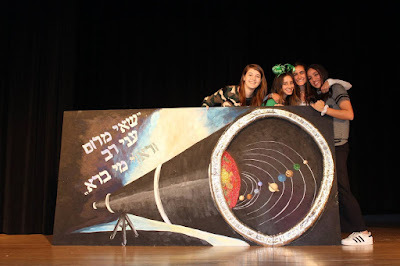 Special thanks to the SGO, Ms. Marcus, and our black team generals Marcelle Cohen, Sarali Cohen, and Morris Matalon who helped this color war run so smoothly and prepare each event to make this the best color war yet! We hope you loved it and truly learned something meaningful from this experience! We saw true leadership abilities in each and every one of you and we were so proud to see the Flatbush family so united and happy together! We hope you had a blast and enjoyed every minute of it, we know we did! 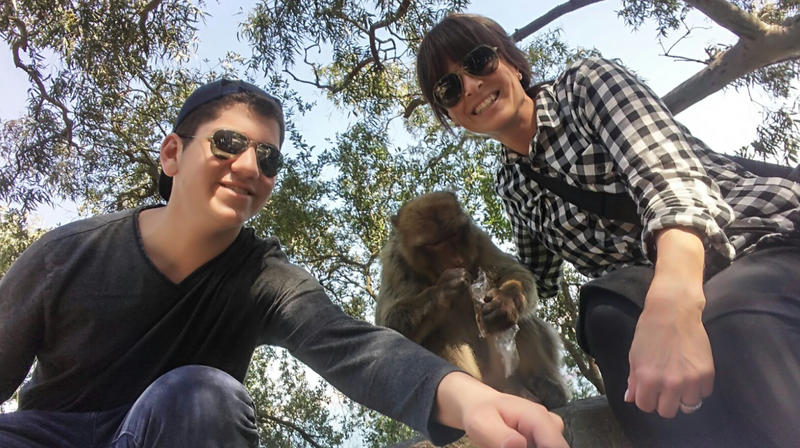 Hold on to this experience of a lifetime and never forget it! Elliot Shamah, Albert Dweck, Morris Mamiye, and Ralph Chattah. Today we woke up bright and early so we can start our day early with a meaningful round of prayer and a delicious breakfast. 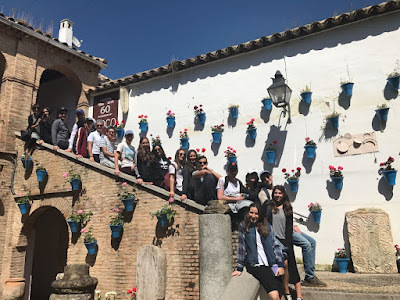 We packed up our belongings and from the hotel headed straight to the Madrid train station to ride on a high speed train to Córdoba. 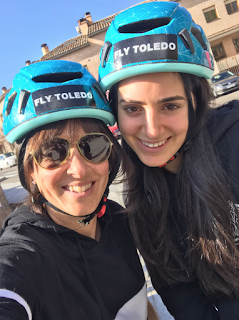 It might sound like the morning ran smoothly, but I didn't mention that we were running late, Gisele and Lauren missed the bus, and that we almost didn't make the train. But luckily, thanks to Sheila's encouragement and Moses' guidance we were able to make it. The train ride lasted 2 hours, yet it felt like 30 minutes, largely because everyone was sleeping or listening to music using their free Renefe earphones. 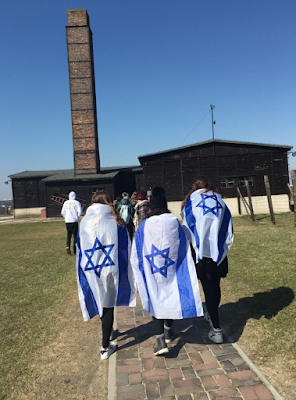 Yesterday morning we visited the Yeshiva of Chachmei Lublin. Before the yeshiva was established, the world of Torah learning was restricted and poverty-stricken. The founder of the yeshiva, Rav Meir Shapira wanted to change the face of learning. He created this yeshiva which was extremely selective, making it's applicants study over 200 pages of Gemara as part of an entrance exam. 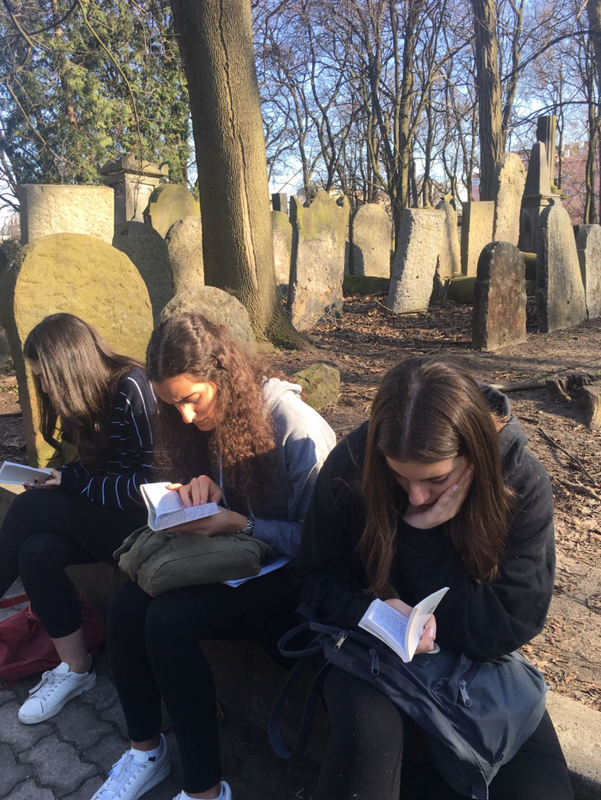 For nine years this illustrious institution was a focal point of Jewish learning in Eastern Europe. 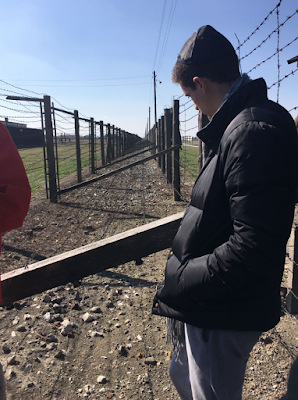 We then made our way to Majdanek Concentration Camp where we walked through the places where selection took place, the showers, the disinfecting chambers, the gas chambers, the barracks where inmates slept, and the crematoria. 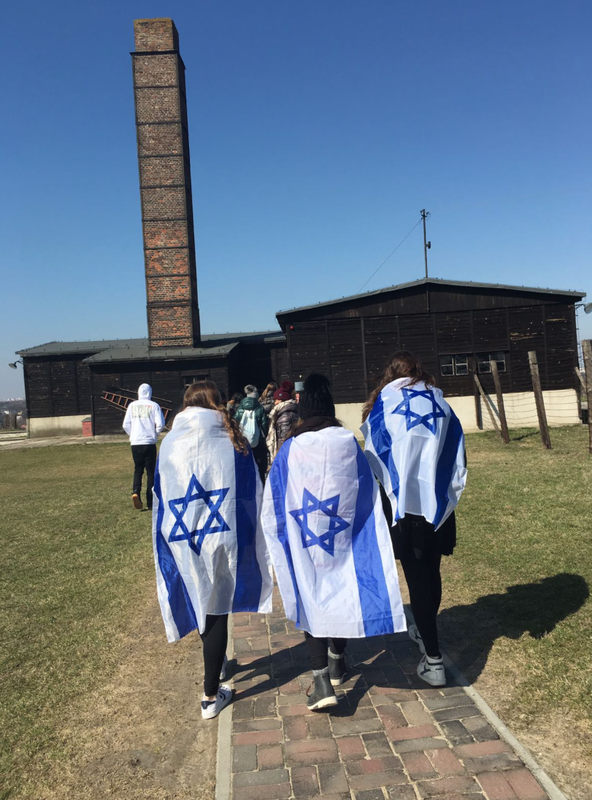 From this experience we learned how the Jews were dehumanized, stripped of their identity, and humiliated. We saw, first hand, the cruelty with which they were treated. It was spiritually inspiring to pray shema in the same place where thousands said their last shema before walking into the gas chambers. 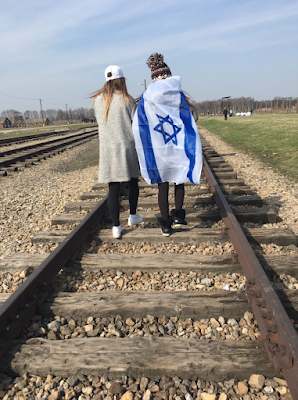 This shows us that no matter how harsh the conditions were, the Jews never gave up their Jewish identity. 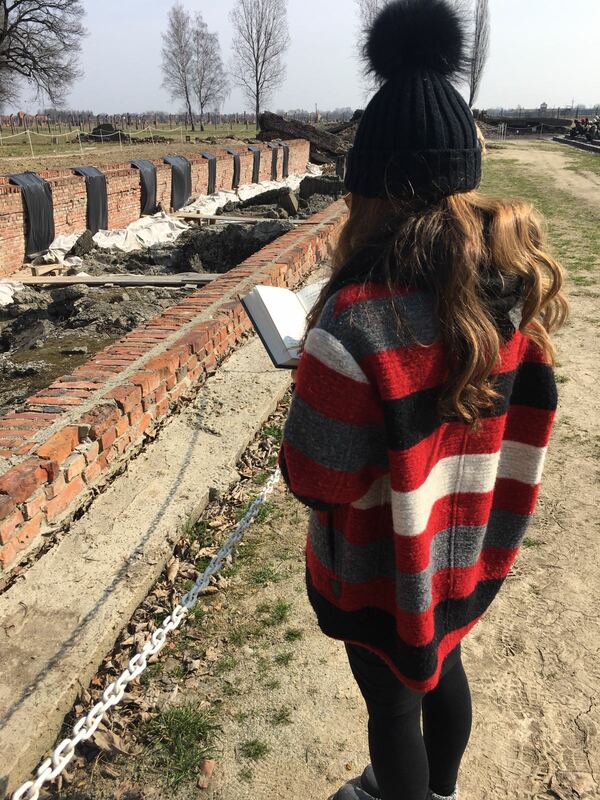 We entered the crematoria building, into the room where the dead bodies were searched for valuables. 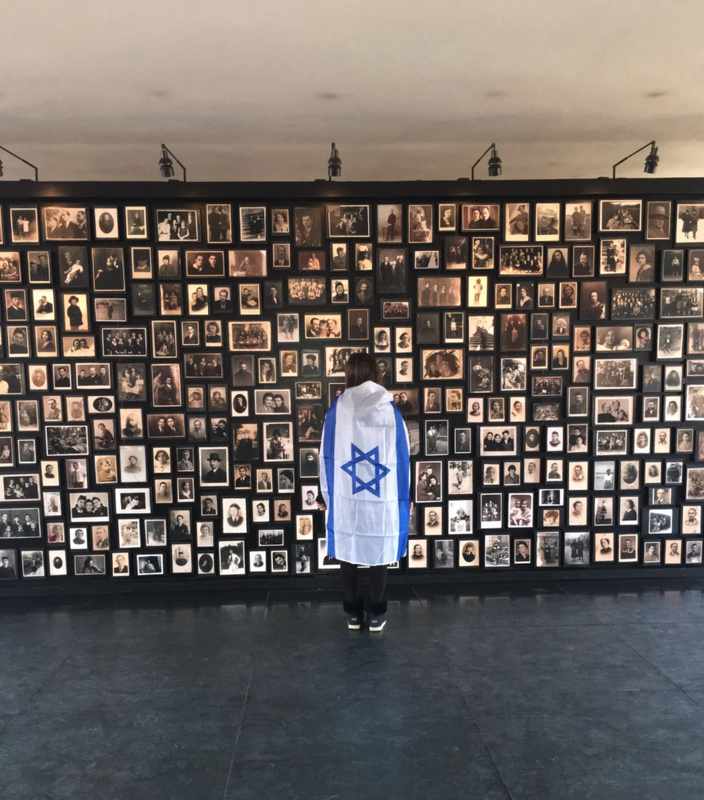 Not only did the Jews have to be invaded and treated inhumanly while they were alive, but dead as well. We realized how, in a place like this, beauty and appearance was massacred. 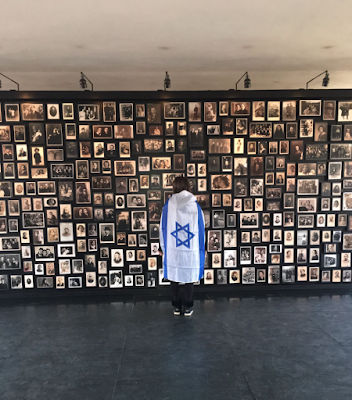 The Jews were stripped of every bit of dignity and modesty. In Izbiza we learned about the impacts of the Holocaust on Jewish identity. 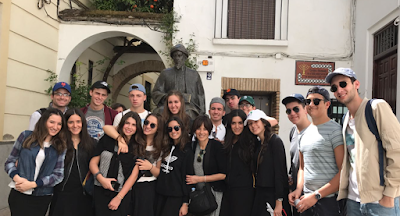 We learned about Father Gregory Pavlovski who was born Jewish but was raised as a Christian, eventually becoming a priest. In an attempt to reconcile his identities he consulted with the pope who suggested that he continue practicing as a priest, but in Israel. He lives today in Jaffe. 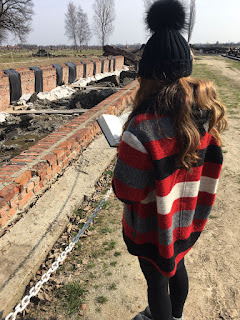 Thereafter we visited the old shul of Krasnik, which today stands in ruins. 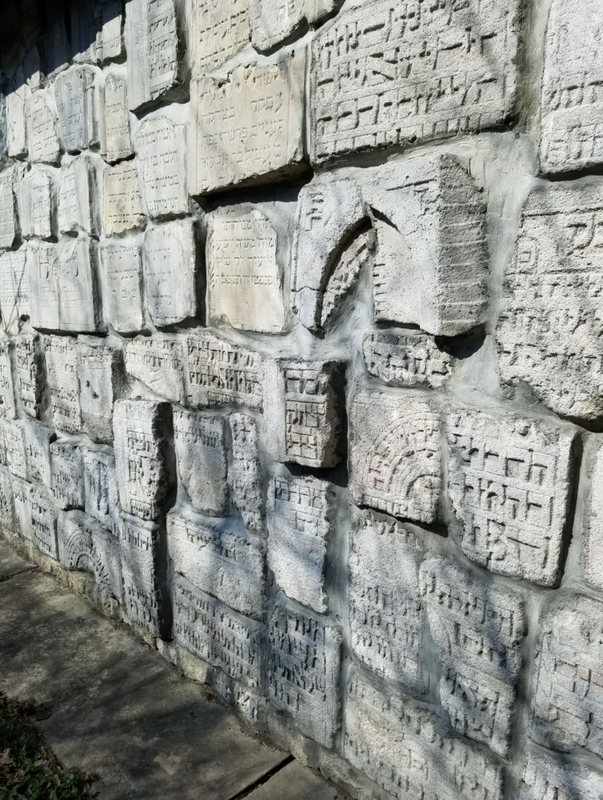 We saw the walls of the shul with remnants of old paintings depicting holidays and tefilot. We breathed some life into the shul with a meaningful tefillat minha. Lastly, we paid tribute to the children of Tarnow, who were brutally murdered in the forest in Zbilatowska Gora. It was an emotional, yet inspiring day. 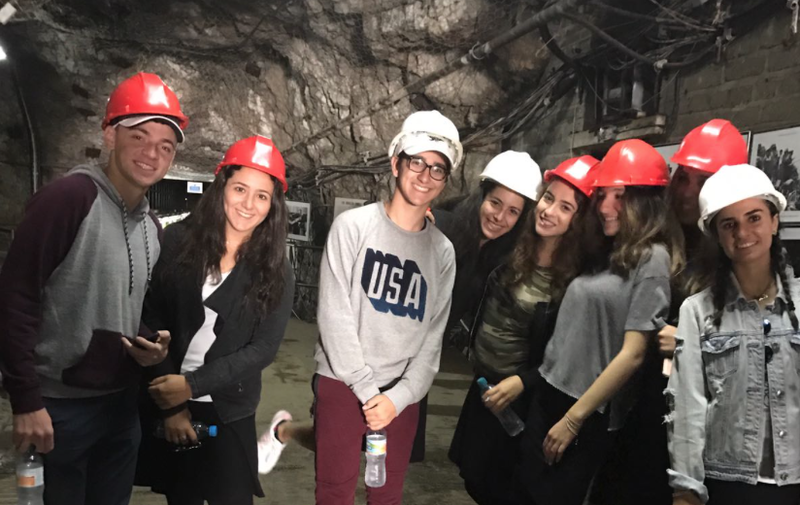 Recently, Yeshivah of Flatbush students took a restaurant management tour at Bison and Bourbon through our Pathfinders Program. 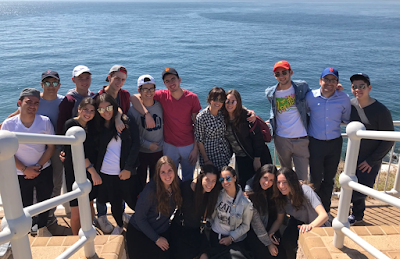 The tour was given by general manager Seth Pearlman. Students were very interested as Seth described all of the work put into managing the two floor restaurant in Downtown Brooklyn. Students were shown the main room, the kitchen and freezers, as well as his office with windows overlooking everything. Seth explained how valuable team work is in managing, and how there must be a coherence between workers in the kitchen and the main room in order for everything to go smoothly. He explained the rush that's involved in food business, and how things must be done on the spot. He also said that if you are good and quick on your feet, this business is an opportunity you'll love to get into. Students looking at careers in business and management were very fortunate to have received this tour and learn about their career goals. 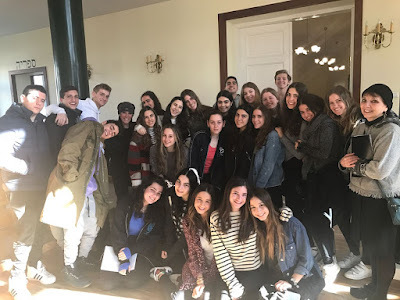 Twenty-five Yeshivah of Flatbush seniors along with Ms. Agassi, Ms. Ginsberg, and Rabbi Lubner arrived in Poland yesterday for our annual Senior Heritage Trip to Poland. Monday was our first day and we went straight from the airport to the Jewish cemetery in Warsaw, the second largest Jewish cemetery in Poland. This is where Y. L. Peretz and many other prominent Jewish people from before and even after WWII are buried. 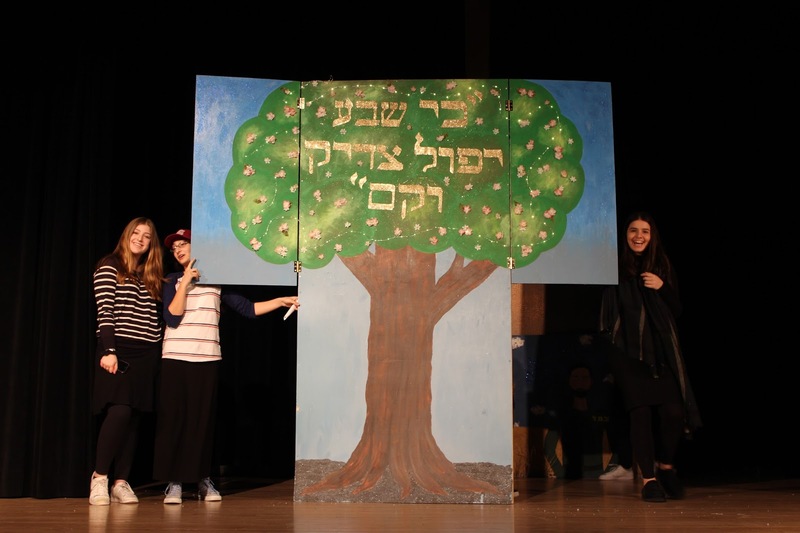 It really exemplified the rich Jewish culture in Warsaw before the Holocaust. 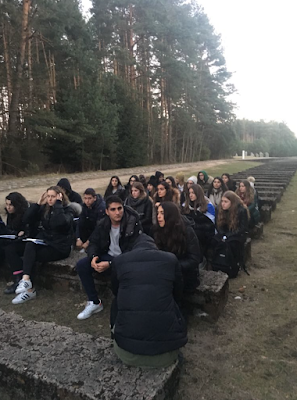 We then traveled from the Umshlagplatz (deportation square) to Treblinka, the deadliest of the death camps. 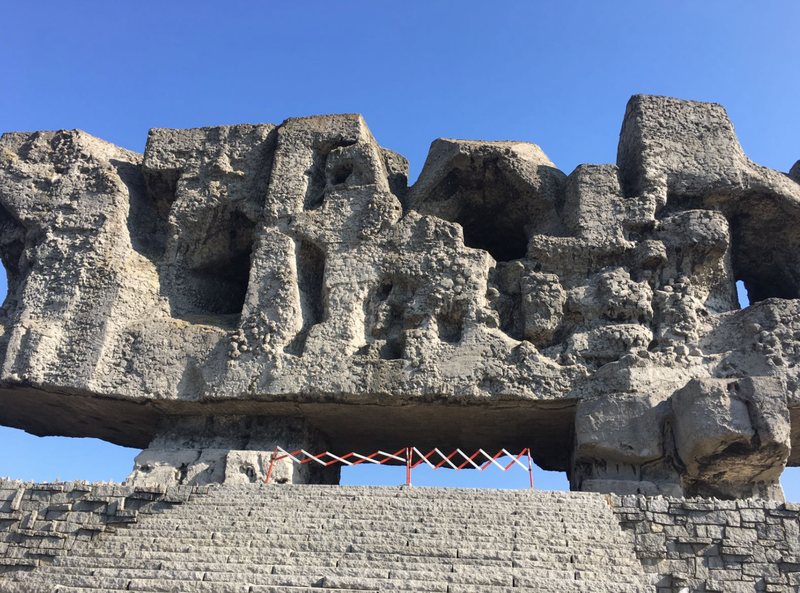 In Treblinka we walked around the monument which has 10,000 stones, each representing an individual community that was ripped apart by the Holocaust. 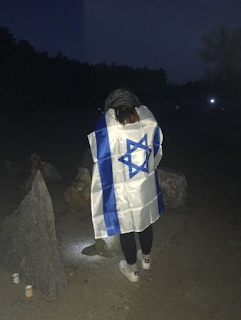 We stayed in Treblinka through dusk and we lit candles and said Tehilim at the mass graves and monuments of Jews who were killed there. We then traveled to Lublin where we spent the first night. 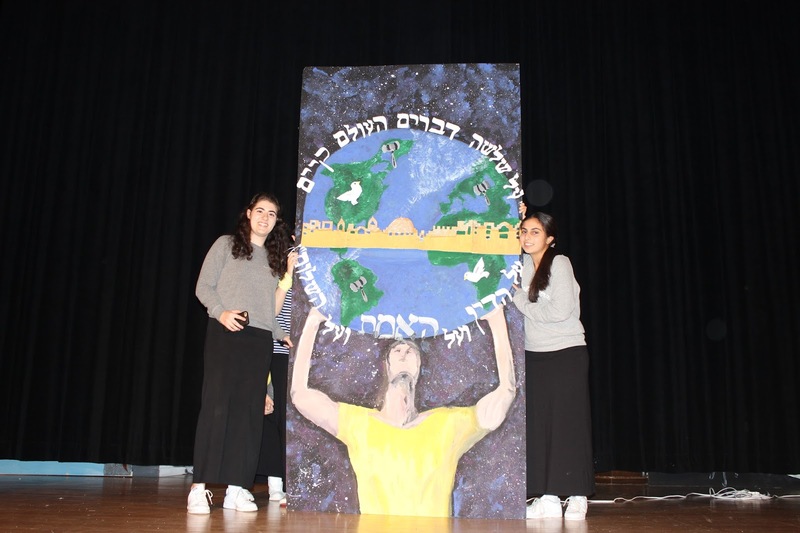 Four teams of students representing Yeshivah of Flatbush Joel Braverman High School recently won high honors in this year's WordWright Challenge, a national competition for high school students requiring close reading and analysis of many different kinds of prose and poetry. 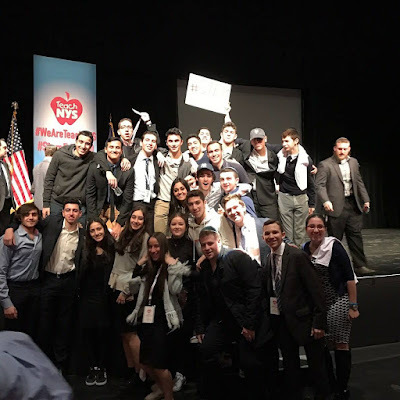 Participating with 640 school teams from all across the country, the school's ninth and eleventh graders placed third in the nation in the year's third meet, held in February, while its tenth graders and twelfth graders placed first in the nation. 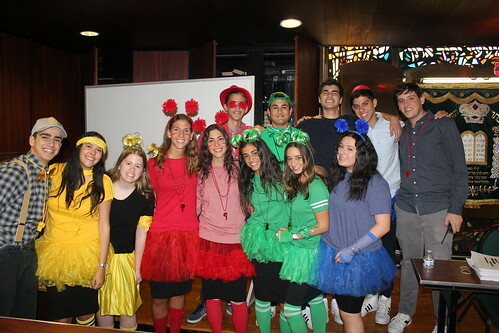 Several of the school's students won high honors for individual achievement as well: Freshmen Sylvia Franco, Ricky Sasson, and Raquel Silvera; sophomores Sam Beyda, Batya Kairey, Isaac Rosen, and Sonny Setton, and seniors Esther Levy, Estelle Saad, and Sarah Sasson all earned perfect scores in the meet, whereas nationwide only 7 ninth graders, only 7 tenth graders, and only 3 twelfth graders did so. 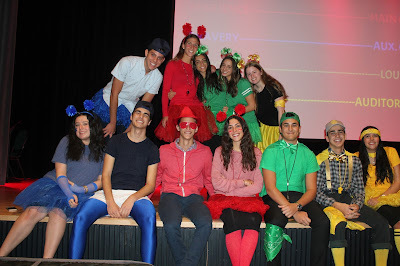 Others who achieved outstanding results included freshman Bonnie Melamed; sophomores Abe Chetrit, Joey Greenberg, Frieda Laniado, and Sally Missry; juniors Lauri Arazi, Netanel Benshabat, Nancy Ades, Daliah Ben-Ari, Maxine Calka, Sally Elbaz, Michael Feldman, and Clemy Jajati, and seniors Deborah Coopersmith, Florence Deutsch, Josef Kusayev, Mimi Lazerowitz, Naomi Sanders, and Sara Shtaynberger. More than 64,000 students from 48 states participated in the meet. 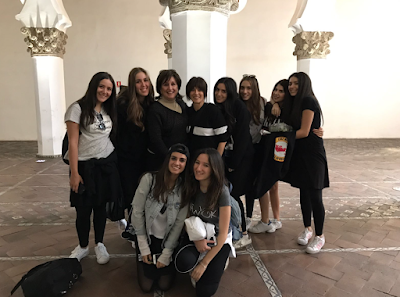 The students were supervised by Ms. Shifra Hanon. 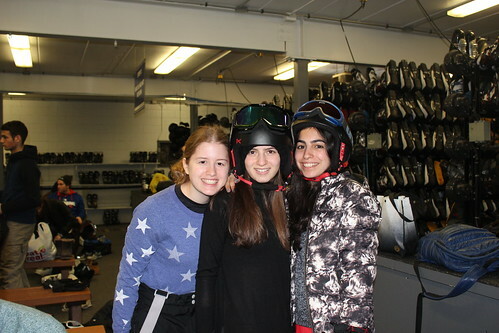 Earlier this month, the senior grade ventured off to Camelback Ski Resort for the annual Senior Ski Trip. We started off by eating lunch and renting ski equipment before hitting the slopes. Bracing ourselves for the cold air we bundled up in all our ski gear and prepared for all the fun ahead. We separated between those heading to snow tube, ski, snowboard, or take lessons but all reunited later for Minha, dinner, and Arbit. We concluded the night by heading back to snow tubing, skiing, or snowboarding now in the dark adding an extra layer of fun and excitement. No matter how many times we each fell we learned the true value of having fun. 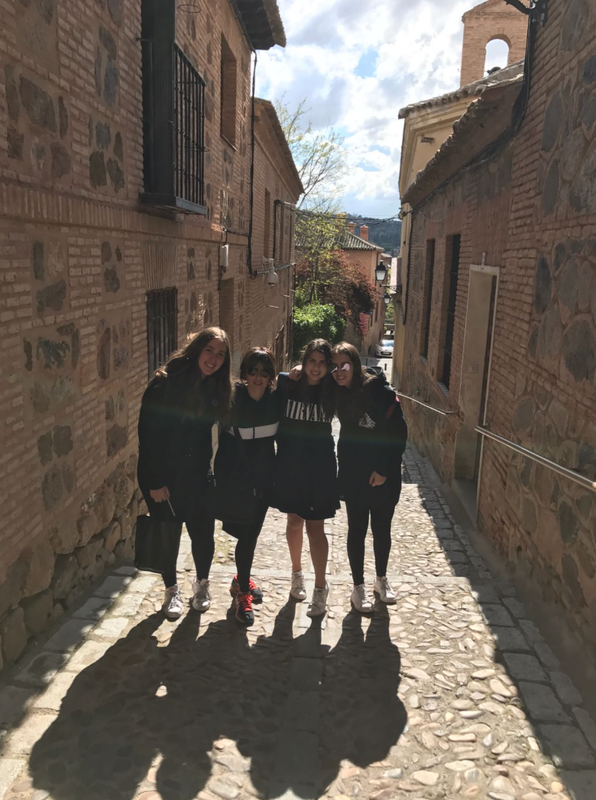 As it is not how fast or far you can go, but how many memories you create with your friends as you laugh with each other and help one another get back to your feet.